Price: $75 per person. This price includes your ferry ticket to and from Ellis Island. What to know: You will receive your ferry ticket by email in the week leading to the tour date you selected, and will need to print this ferry ticket in order to access the Statue Cruises boat which will take you to Ellis Island. It takes two hours to get to Ellis Island from Castle Clinton, Manhattan. If your tour starts at 2pm on Ellis Island you will need to arrive at Castle Clinton, Manhattan no later than 12pm in order to get in line, go through the airport style security, and board the Statue Cruises boats to Ellis Island. The boat ride itself takes 40 minutes. The boat will first stop on Liberty Island, stay on the boat and wait until its second stop which will be Ellis Island. Departure from Jersey City is also available. Taking photos is encouraged however tripods, unipods and video recording are not allowed. Due to the nature of the buildings, all guests must stay with the tour guide at all times. The tour is inaccessible for people using wheelchairs or powered scooters, and kids must be 10+ years-old to join. No cancellation or refunds. 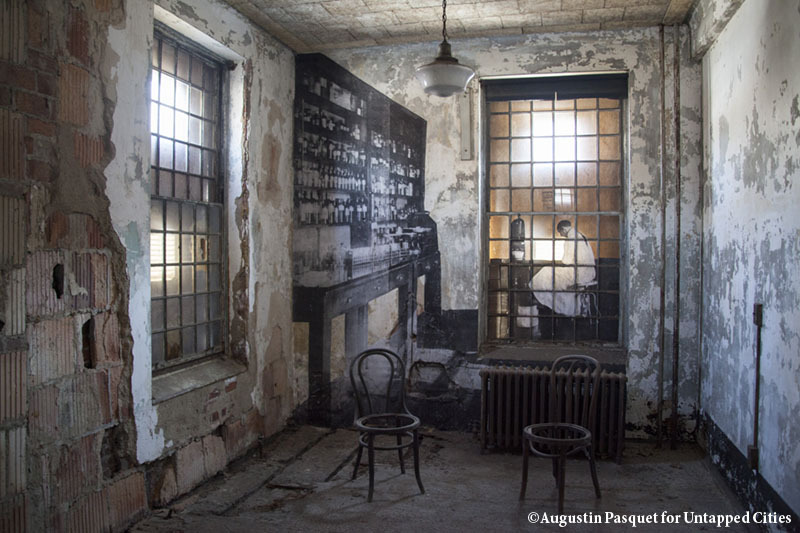 While Ellis Island has become one of New York City’s top tourist attractions, drawing over two million visitors per year, the 29-building South Side hospital complex is hidden in plain sight, just to the left of disembarking passengers headed towards the Great Hall. Looking at its desolate, skeletal frame now, it’s difficult to imagine its backstory as one of the largest public health undertakings in American history. Join us for our upcoming hard hat tour, guided by a Save Ellis Island docent, where we’ll uncover its many, buried secrets.